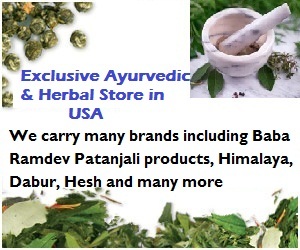 Good health and youthfulness are something that all of us crave for, particularly those dedicated to healthy living. While eternal youth or youthfulness may be as evasive as the 'fountain of youth', healthy living is very achievable. The listed ‘healthy foods’ below will not only help you to stay young but will also help to decrease your risk for some life threatening diseases like diabetes, cardiovascular disease and cancer. Remember your body will be good to you only if you be good to your body. So try and include not all, but as many as possible from the listed healthy foods below in your daily diet. Oatmeal is loaded with B complex vitamins, calcium, iron as well as protein. It can be a perfect morning fuel for weight watchers as it contains soluble fiber which offers many health benefits, from lowering your cholesterol levels, to helping you stay satiated for a long period of time. 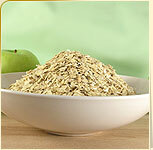 If you don’t prefer the taste of oatmeal, try topping it with any seasonal fruits or dry fruits of your choice. Unsweetened plain yogurt along with oatmeal can also be a healthy but appetizing combination. 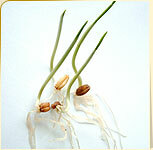 Unlike its white polished counterpart, brown rice is a rich source of magnesium, selenium, manganese and fiber. 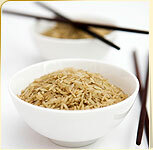 Substitute white rice with nutritious brown rice wherever and whenever possible in your diet. 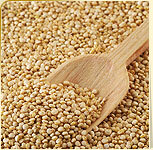 More than any other grains, quinoa is packed with proteins along with riboflavin, iron and magnesium. Rinse this cereal before eating to prevent the bitter taste. Magnesium from wheat germ will help to prevent muscle cramps. Wheat germ is also a good source of vitamin E. Sprinkle some over your cereals, yogurt and fruits to get the nutrients from wheat germ. 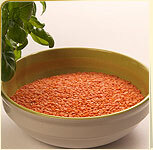 The heart healthy fiber along with isoflavones from lentils may have a protective effect against breast cancer. Add lentils in any form dried, canned or already in soup for a protein packed meal. 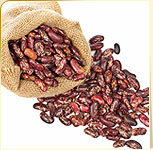 Folates from pinto beans have a heart protective effect and also reduce any risk of birth defects in new born infants. 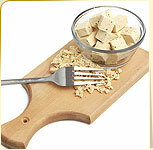 A very good source of soy protein and omega 3 fatty acids, tofu offers cardiovascular benefits by lowering the low density lipoprotein cholesterol levels in the body. Polyunsaturated and monounsaturated fatty acid from peanuts helps to decrease the risk of cardiovascular diseases by a significant margin. 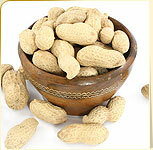 Munch on these healthy nuts when you feel hungry instead of binging on any fried snacks. 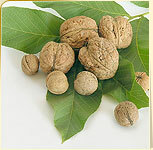 These brain shaped nuts not only look like brain but its omega 3 fatty acids offer many protective effects to brain. 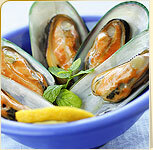 Omega-3 fatty acids along with manganese also have a heart protective effect. Monounsaturated fats from almonds may reduce your risk for heart disease and also lower your low density lipoprotein cholesterol. 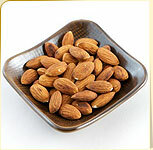 In addition to healthy fats, almonds are also packed with vitamin E, magnesium and potassium. 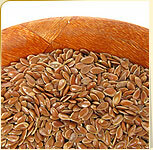 An excellent source of omega 3 fatty acids, flaxseeds have anti-inflammatory benefits and protect against heart disease, diabetes, bone disease and cancer. 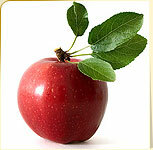 Cardio-protective fiber and flavonoids from apples also prevent constipation. 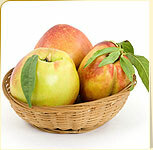 Drink a glass of fresh apple juice to prevent the formation of kidney stones. Apricots are a rich source of beta carotene which gets converted to vitamin A in the body. Both beta carotene and vitamin A are potent antioxidants that help to scavenge the free radicals from the body and have a protective effect against many types of cancers and heart diseases. You may choose fresh and firm apricots or may even snack on dried ones. Oleic acid from avocadoes helps to lower the total cholesterol levels and even increase the high density lipoprotein levels in the body. 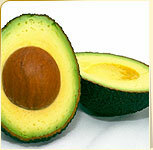 Moreover avocado also provides a good dose of fiber. Try an avocado dip or guacamole in your burger instead of other fat loaded dressings. This dark berry can be a perfect excuse to include whipped cream in your diet. 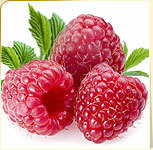 Raspberries are packed with vitamin C and fiber. 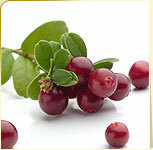 The ellagic acid present in this tiny berry may help to halt growth of cancerous cells. 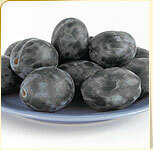 Blueberries are tangy nutritional stars that are bursting with flavor and nutrition, at the same time low in calories. 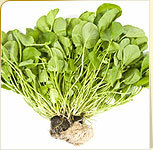 They are a powerhouse of antioxidants including lutein, an important component for vision. 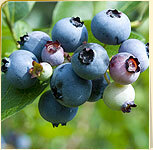 Choose fully ripe, but not overripe blueberries to gain the maximum nutritional benefit. Cantaloupe, a popular variety of melon is packed with two important antioxidants; vitamin C and vitamin A. The pro-vitamin A in cantaloupe promotes your lung health, protects your vision and vitamin C helps to fight against infection and boosts your immune system. 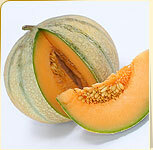 Eat fresh cantaloupe in winters or freeze cantaloupe cubes and blend to make an icy smoothie in summers. 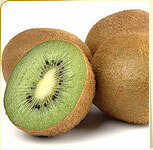 Vitamin C from kiwi protects the body from any oxidative damage and phytonutrients from this fruit protects the DNA. Peel just ripe kiwis and scoop the inner contents with a spoon. These bright red berries are rich in vitamin C and dietary fiber. Cranberry juice is valued for its ability to reduce risk of urinary tract infection. The hippuric acid along with other components from the juice reduces E. coli adherence on the walls of the urinary track, as a result of which it is flushed out in the urine. 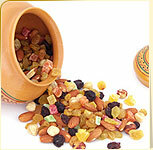 Raisins are low in calories but rich in iron and fiber. 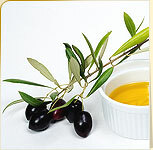 The phenols from these little gems have an antioxidant property that helps to prevent oxygen based damage to the body. Add some raisins in your morning breakfast cereal to get the sweetness instead of adding sugar. Phenols from plums offer a significant antioxidant protection by neutralizing the destructive free oxygen radicals that cause oxidative stress in the body. 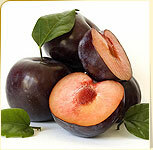 Fiber from prunes offers intestinal protection, improves bowel regularity and lowers cholesterol. If you use the pill as a mode for birth control then make sure to add some vitamin B6 in the form of figs, as the pill depletes this vitamin from the body. Figs are also a good source of fiber and potassium that can help you to lose weight and maintain healthy blood pressure levels. 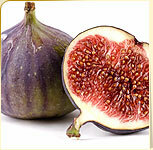 Enjoy dried figs throughout the year, but when in season don't forget to include sweet and ripe fresh figs in your diet. Papaya is an excellent source of vitamin C and also a good source of vitamin A, E and K. All these antioxidants along with the fiber in papaya surely promote good health and ward off a variety of diseases and conditions. 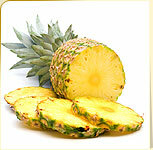 Bromelain from pineapple offers potential anti-inflammatory and digestive benefits. Pineapple is also a good source of manganese, ascorbic acid and thiamin which play a role in antioxidant defenses and energy production. Fresh or canned pineapple pieces with plain yogurt can be an excellent dessert option. 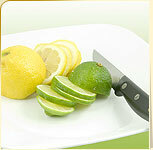 Vitamin C from limes and lemons along with furocoumarins and limonene help prevent many types of cancers. Add a slice of lemon to your iron rich diet for better iron absorption in the body. 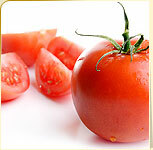 Besides being rich in vitamin A and vitamin C, tomatoes are an excellent source of lycopene. Lycopene, a carotenoid acts as a potent antioxidant in the body and offers a protective effect against several types of cancer and cardiovascular diseases. Cook tomatoes in a dash of olive oil as lycopene is well available in cooked form and in the presence of fat it is well absorbed in the body. Onions are rich in flavanoids, most notably quercitin as well as many phytonutrients and vitamin C. The chromium from onions helps the body cells to respond well to the hormone insulin. 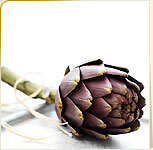 Silymarin, an antioxidant from artichokes helps to prevent skin cancer and the fiber helps to control cholesterol. 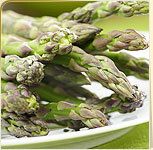 Asparagus is rich in folate, an essential vitamin for cardiovascular system. Make asparagus a healthy addition in your meal if you are planning to get pregnant as folate is also a great birth defect fighter. As the richest vegetable source of pro-vitamin A carotenoids, carrots offer protection against cancer and cardiovascular diseases. 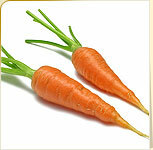 Beta carotene from carrots helps to promote good vision and also promote good lung health. 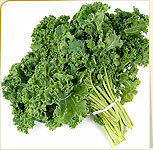 The organosulfur compounds in kale help prevent cancer, especially ovarian cancer. Kale is also a rich source of vitamin A, vitamin C and vitamin K which help to lower cataract risk, promote lung health and boost immunity. 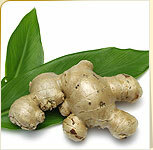 Gingerols from ginger may help reduce the queasiness. Other compounds in ginger may also help to ward off arthritis and migraine pain by blocking inflammation-causing prostaglandins. Try some fresh ginger ale to quench your thirst instead of other sweetened and artificial drinks. 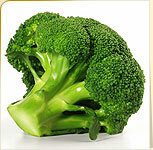 Packed with nutrients like vitamin C, beta carotene, vitamin A and folate, broccoli can be an ideal vegetable. Sulforaphane and indole-3-carbinol in broccoli may have a protective effect against breast cancer. To preserve the phytonutrients steam or lightly microwave the broccoli, avoid overcooking. Sulforaphane, a potent plant phytochemical present in Brussels sprouts have a protective effect against various types of cancer including bladder cancer. 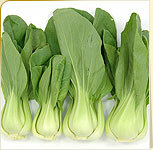 Besides they are also an exceptional source of vitamin K, vitamin C and fiber. 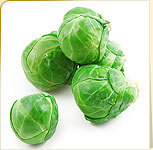 Add some of these sprouts to your cold salads if you don’t prefer them as your main dish. Blessed with the healthiest nutrients like calcium, iron, potassium, magnesium, beta carotene, vitamin C, and vitamin B6, spinach can be considered a leafy powerhouse. 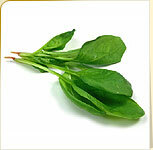 Include some blanched leaves in your soups, salads, omelets or lasagna to get a power pack of nutrients. Unique root storage proteins in sweet potatoes have been proved to have potent antioxidant effects. 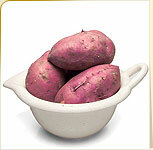 Sweet potatoes are a sweet source of vitamin A, vitamin C, manganese, copper and dietary fiber. This Chinese cabbage is rich in brassinin, indoles and isothiocyanates all three may offer a protective effect against breast cancer. 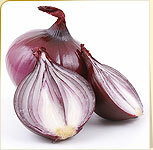 Toss this vegetable lightly with a dash of olive oil and minced garlic just before serving. 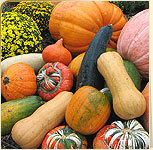 A variety of health promoting nutrients in both the squashes, like vitamin C, vitamin A, potassium, magnesium and fiber promote overall health. Vitamins C and vitamin E along with phenethyl isothiocyanate and beta-carotene in both these greens helps to keep cancer cells at bay. 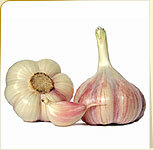 The active components along with the sulfur compounds in garlic gives a typical pungent flavor but also helps to lower the low density lipoprotein cholesterol and also reduce the risk of colon and stomach cancer. A concentrated source of vitamin E and monounsaturated fatty acids, olives provide cellular protection against free radicals support gastrointestinal health and prevent the development of colon cancer. 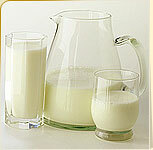 Vitamin A along with riboflavin in skimmed milk helps to maintain healthy vision and also reduces allergies and eczema. The calcium and vitamin D from skim milk can not be ignored. 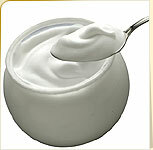 Calcium in active-culture yogurt strengthens the bones and the bacteria help prevent yeast infections. Mix some chopped fruits of your choice to make your yogurt sweet instead of adding sugar. 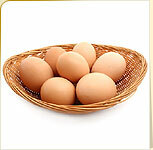 Good quality proteins from eggs along with choline boosts brain health. Choline in egg yolks also helps reduce inflammation. Egg yolks are also a concentrated source of cholesterol. 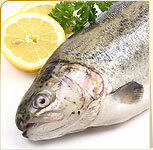 Fatty cold water fish like tuna, mackerel and salmon are a rich source of omega 3 fatty acids. These good fats are a blessing as they offer a protective effect against almost everything; from lowering cholesterol, protecting the heart, fighting inflammation to fighting many cancers and preventing Alzheimer's disease. Vitamin B12 from these shell fishes helps to support brain and nerve function. 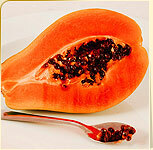 They are also a good source of iron, potassium and magnesium. 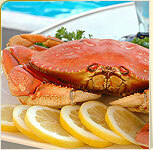 Zinc and vitamin B12 from crabs will help boost your immunity. Try some crab curry or prepare your own crab cakes at home. 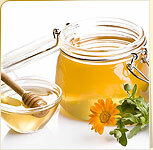 Raw honey, besides being sweet golden nectar and a natural sweetener also has anti-viral, anti-fungal and anti-bacterial properties. 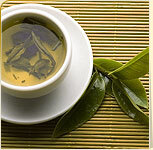 Health promoting flavonoids from green tea are thought to have anticancer and antioxidant effects in the body. 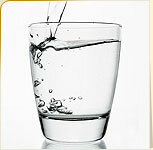 Water is one of the healthiest foods available on earth among the others. Although it has zero calories and negligible nutrients it offers many health benefits which will help you to remain healthy and young at heart.